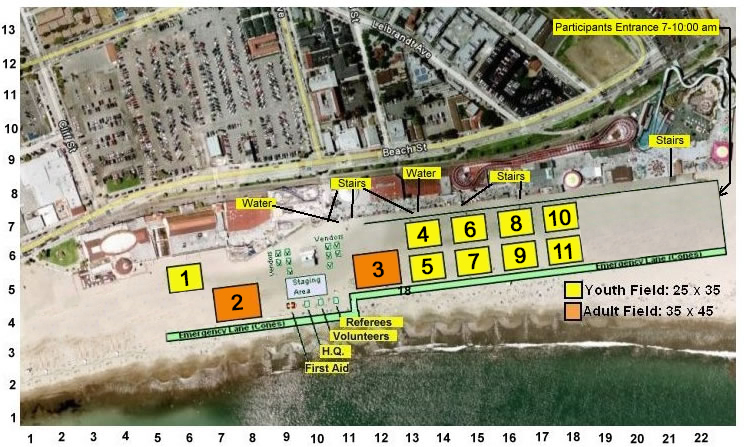 Above you will find a map with directions of where to park when coming to participate at the Santa Cruz Beach Soccer Championships. You will also find a map of all the attractions at the Santa Cruz Beach Boardwalk. Make sure you park your car in the right spot to avoid any tickets from the City of Santa Cruz.